Stars & Stripes forever! 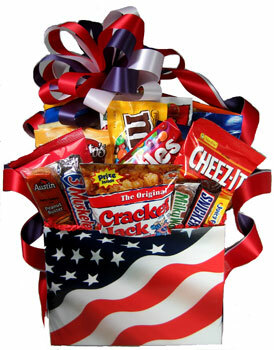 This flag design container is filled with Cracker Jacks, Nuts, Snacks, Cookies, Chocolate Bars, and more! 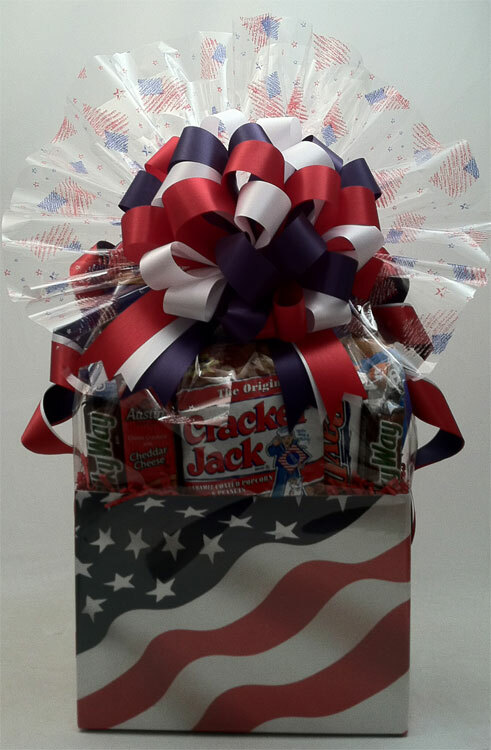 Wrapped in Crisp Clear Cellophane and topped off with a Red, White, & Blue Handmade Bow. Includes a Handwritten Greeting Card. Finished wrapped design approx. 19"H x 14"W.